Home Equestrian Life What is Equine Assisted Psychotherapy? A look at some of the ways mental health professionals can use horses to achieve clients’ goals. While many people know horses can be used for therapy, they often don’t understand that there are several different kinds of therapy. And while many people have heard of therapeutic riding centers, far fewer have heard of equine assisted psychotherapy. The common misconception of equine assisted psychotherapy is it is some sort of therapy for the horse. 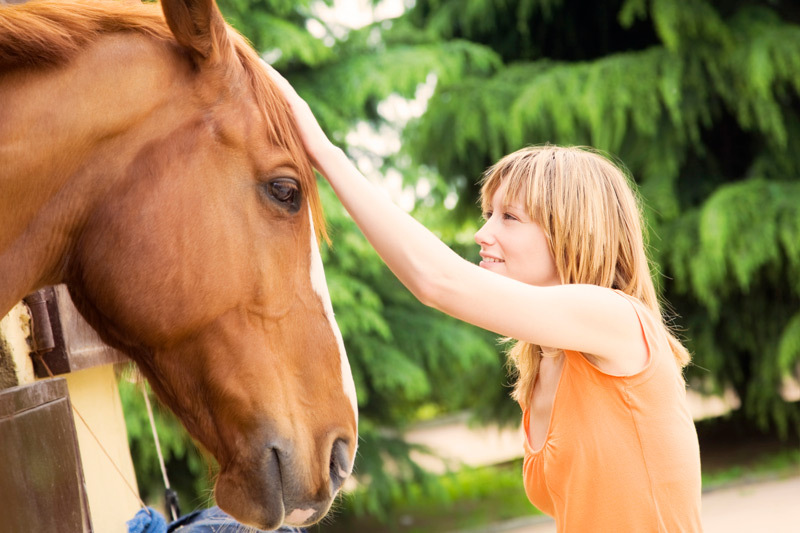 Though some people could make a case for the benefits to horses of participation in all kinds of therapy, equine assisted psychotherapy is for the benefit of the human(s) involved. Equine assisted psychotherapy (EAP) is a kind of experiential learning that allows individuals to reflect, learn and/or observe through interactions with horses. EAP can be used for a variety of goals, including, but not limited to, helping those who suffer from anorexia and bulimia, providing exercises for team building, and offering a unique environment to individuals who want something different than therapy in a clinic environment. For the safety of all involved, EAP sessions are usually conducted with at least two professionals, a horse professional and a mental health professional. Many EAP exercises are most effective when participants are able to think metaphorically in order to make connections between what happens in the arena with the horse(s) and what happens in every day life. No horse knowledge is required from the participant(s) in EAP. EAP, like many other types of therapy, can be done with an individual or a group. As with any form of therapy, the objectives and paths of sessions are catered to the specific individual(s). A simple and often introductory EAP exercise is to ask an individual to catch and halter a horse. The point of the exercise is not about horsemanship skill; there isn’t a wrong way to put the halter on the horse. At some point in your life, you may have participated in a ropes course or something similar. Ropes courses typically involve personal development or team building tasks using outdoor obstacles. EAP group exercises can be used for similar purposes. An example of a group exercise is to work with one horse, a flake of hay, and a hula-hoop. In this example, the flake of hay would be placed on the opposite side of the arena from the hula-hoop. The group’s assigned task would be to get the horse to place one foot in the hula-hoop when it is flat on the ground, and the rules of the exercise would include not being able to touch the horse and not being able to move the hay. While the exercise might sound impossible considering most horses will have high interest in the food and low interest in the hula-hoop, the way the task is successfully completed or even unfinished will provide several questions for the mental health professional to direct toward the group for reflection. If you’re interested in learning more about EAP, whether for participation or for professional involvement, seek out an EAP professional in your area. Some facilities specialize in EAP, and others offer one or more specialized EAP professionals. 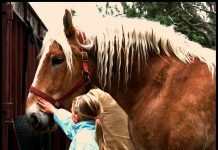 Contact a local facility that offers any form of equine-related therapy and inquire about sources for EAP, or contact the Equine Assisted Growth and Learning Association (www.eagala.org). What every horse owner already knows about horses being psychotherapy. I am a PATH International Certified Equine Assistant I am qualified to work in this field and am open for clients.